Recently, addressing a workshop of state secretaries in-charge of Rural Water Supply and Sanitation, Jairam Ramesh, the minister for rural development, termed it a shame that 58% of the world’s open defecation happens in India. Anyone who has worked on sanitation would take this figure with a pinch of salt, knowing how misleading sanitation coverage figures are – possibly not just in India, but all over the developing world. The implementation challenge: Delivering sanitation is hard – whether for the Gram Panchayat, or a local NGO, or the government line departments. Fighting against practices and callousness hard-wired into people’s systems over centuries is not easy, meaning then that behavior change communication is critical to the success of a sanitation campaign. In recent years, it has been recognized that sanitation is not just a hardware programme that requires engineers to design and implement systems. The challenge of implementing a sanitation programme is reflected, in part, in the muddled statistics it is represented by. Physical achievement is counted in terms of number of households covered, even though it is well understood that building a toilet is not the same as using it; that building a toilet doesn’t mean you can use it, especially if you have no access to water to keep the toilet clean; and most of all, that individual toilets are meaningless unless entire communities are covered and every family uses a clean toilet. With multiple implementation models coupled with poor efforts at ‘behavior change’ among communities, things could go wrong in more than one way post-installation – one, where toilets are poorly constructed and therefore have stayed dirty and unused; another, where toilets that are built are better than the the beneficiaries’ homes and are considered too precious to be dirtied; yet others, where a toilet with a door becomes the safe store for the harvest or for the goats. The policy muddle: In the Total Sanitation Campaign (TSC), a centrally-sponsored scheme, the aggregate ‘incentive’ (from various state and central sources) for a poor family constructing a toilet is around Rs. 4400. This finds support from implementers who believe monetary incentives could facilitate behavior change. This also finds support from those who believe that the government has a responsibility to invest in sanitation, the most basic of public health infrastructure in a civilized country. However, the existing subsidy regime flies in the face of advocates of the Community-led Total Sanitation (CLTS) advocates who swear by zero subsidies and the power of a change agent in the village and the community’s collective shame as some of the chief triggers to achieving total sanitation in a village. This approach has been gaining traction globally and many government officials speak highly of the successes achieved using this method. In recent conversations with government officials in a north Indian state, I was told that they are implementing the CLTS approach, while in the same breath, they mention the subsidies under TSC that beneficiaries would be eligible for. The subsidies are being pushed down, in part because of the central guidelines that govern TSC. While there isn’t any particular hard evidence on which approach works better, it does seem like a waste of money to muddle two entirely different approaches to sanitation on the ground. An eye on the prize: The Nirmal Gram Puraskar (NGP) – a prize awarded to a Gram Panchayat that reports total absence of open defecation in their community, with every household using a clean toilet – tends to undermine the importance of community mobilization and behavior change efforts by creating an incentive to cheat the system by falsely reporting achievement of total sanitation. This approach fails to take into account sustained usage of toilets and is easily susceptible to misreporting and collusion among elected community leaders and government officials. It is not uncommon to hear government officials talk openly about requiring a certain number of NGP nominations from their respective areas and thereby pushing line departments to ‘get the numbers’. It is high time policymakers recognized that chasing targets is not the way to go, if total sanitation has to be achieved. States need to facilitate local planning in ensuring that every Gram Panchayat adopts the model that works best for them, keeping in mind the geography, socio-economic status and the existing practices of the communities. This will then lead to home-grown policies for key components such as implementation, subsidies and awards that are critical to the success of the efforts being made towards total sanitation in the country. 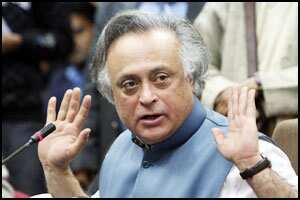 In his recent remarks, Jairam Ramesh also lamented the fact that the only a minuscule proportion of the development budget was being spent on sanitation. While calling for an increased allocation, he also, more importantly, called for a fundamental change in the way we approach sanitation. Coming from a high-energy minister of Ramesh’s calibre, we have every reason to be hopeful. Suvojit Chattopadhyay is a development professional with over six years of experience in India, UK and Ghana. Doug Johnson is a development consultant with experience in microfinance, impact evaluation, and payment solutions. Doug has worked in China, India, and Nepal.